Local shepherd, Khalaf Luhaibi led troops to the site, where there could be as many as 400 bodies of captives, believed to have been shot dead, or doused in oil and set on fire by the jihadists. The governor of Kirkuk province, Rakan Said, said the zone had been turned into an execution ground. The area is strewn with what appear to be human skulls and bones, as well as torn items of clothing. 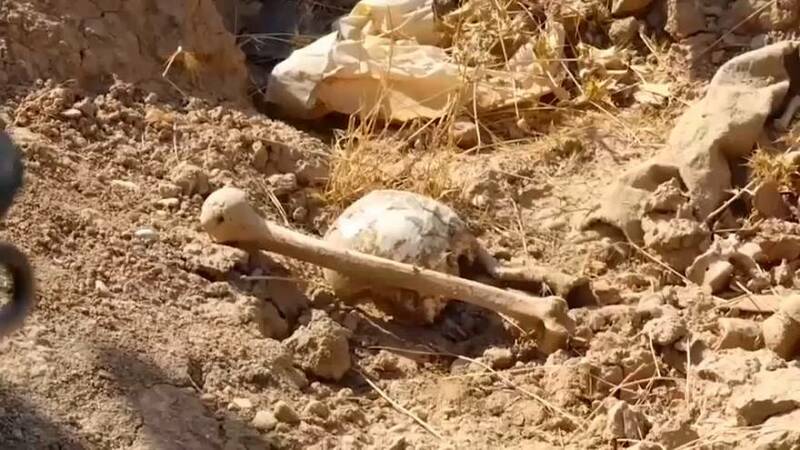 The graves, on the site of an abandoned airbase, are just the latest in a series of similar finds made by Iraqi forces in newly-liberated areas. Last year, the Associated Press published a survey of mass graves identifying 72 sites containing between 5,200 and 15,000 bodies.